With another week coming to a close, talkhealth are back with another round-up of the weekly news. This week we will be looking at a range of different news stories in the world of health, including drinking levels, prostate treatment, the impact of bad sleep and the benefits of honey. So, without further ado, let’s begin. 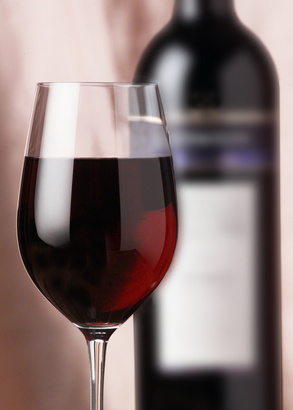 It has been widely believed that drinking a glass of wine a day can help keep you healthy. However, a new global study has found that there is no safe level of alcohol consumption. The study found that while some moderate drinking can help protect against heart disease, the heightened risk of cancer and other diseases far outweighed the benefits. The study examined over 100,000 people and found that those who drank in moderation were still at risk of alcohol-related health problems such as cancer or suffer an injury. The study also found that women in the UK ranked eighth out 195 countries for the highest levels of alcohol consumption, consuming around three drinks a day. In contrast men in the UK ranked 62nd out of 195 countries, also consuming three drink on average a day. If you are concerned about your levels of drinking, or the impact it is having on your life, then consider visiting your GP for support, or take a look at our talkmenshealth and talkwomenshealth sections of the website for further information. The NHS is going to be introducing a new form of treatment for benign prostate enlargement shortly. The treatment involves passing a small probe through the urethra in order to inject a small puff of steam in to the troubled area. The steam is able to kill off some of the larger tissue to help ease symptoms and the dead cells are then reabsorbed in to the body. The treatment itself has been classified as minimally invasive and can be performed under local anaesthetic without the need for an overnight stay. With one in three men over the age of 50 living with an enlarged prostate the treatment provides a viable solution to traditional methods that involve more invasive surgery with more potential side-effects. If you are concerned about prostate health, talkhealth will be running an Online Clinic on prostate and testicular health in November where you will be able to have your questions on the subject answered by medical experts. Having a good night’s sleep is integral to our health and mental wellbeing, and a new research has found some of the wide-ranging impacts poor sleep can have on us. A new study from Uppsala University in Sweden has found that a lack of good quality sleep can lead to an increase in weight. Poor sleep has been shown to have a direct impact on the basic metabolism of the body, which can increase the chances of gaining weight. Alongside this, further research from the University of California has explored the impact of poor sleep on our social wellbeing. 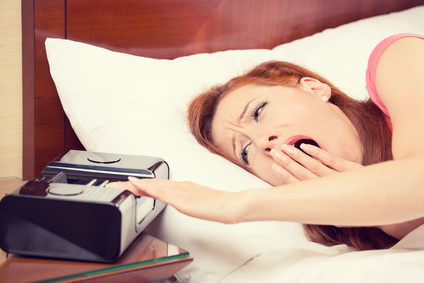 A lack of sleep can lead individuals to feel lonely, lethargic and less likely to interact with friends and family. With this in mind, it is important to ensure that you are not only getting enough sleep, but that you are a good level of quality sleep to help maintain the body’s natural metabolism levels and ensure that your mental health doesn’t suffer. New proposed guidelines from the National Institute for Health and Care Excellence (NICE) and Public Health England (PHE) have outlined that honey and over-the-counter medicines should be the first line of treatment for most people with coughs, as opposed to traditional anti-biotic treatments. Patients are being advised to use these treatments and wait for symptoms to improve on their own, before going to a GP. However, the guidelines recommend that antibiotics may be necessary for a cough when it is part of a more serious underlying illness, or when a person is at risk of further complications, such as those with chronic health conditions or weakened immune systems. The new guidelines follow suit with plenty of traditional home remedies that have been shown by science to work and have been adopted as first line treatments for a range of health problems. You can view other home remedies, including mint tea and ginger here. And that sums up this week in health. If you want to continue the conversation, head over to the talkhealth forums.